Okay, if your scores are still hovering around 100, and more often to score in three digits than two digits, please consider to play on white tee. You will get shorter distance to the hole, and has greater chance to score better. You will gain probably 5-20 meters, depending on the courses. I know, sometimes you’re playing with your friends who demand you to play on the blue tees. If they have more or less similar scores with you, insist playing on White. If they’re more experienced golfers, insist on playing on different tees. Adjust the handicap strokes he normally give you, no problem. 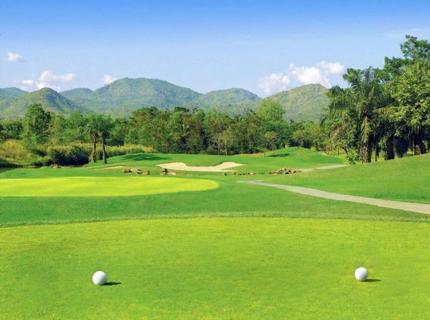 When you already score more in 90s, then you can accept the challenge of your fellow golfers to play on Blue tees. Well, if you don’t know what it means by shaping shots, it’s unlikely you shot draw or fade. Or are you still struggling to hit your ball straight to the green? Even more. So, if you belong to above category, please consider to play with more forgiving clubs. You know, those fat-looking iron clubs with lots of cavity at the back. That cavity is there for a reason: it helps your ball to airborne easier and fly straighter. The so-called ‘sweet spot’ of your clubs become larger. It means, it increase the probability for you to hit it on sweet spots, thus longer and straighter shots. 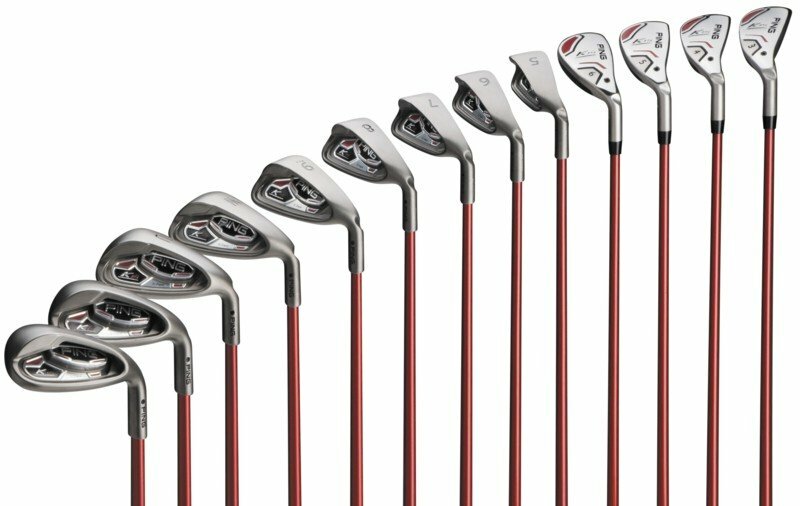 Granted, you can’t use these clubs to hit your shots draw or fade. But again, at your current handicap, do you really need to pull of those shots? Very unlikely. You’d be lucky to hit it straight. Tips: Look at the Game Improvement or Super Game Improvement Irons in Golf Digest 2013 Hot List. These clubs will do for you. Look at your recent scorecards. I bet you’ll find 30-40 strokes from your 100+ score coming from putting. This account to 30-40% of your shots, yet this is probably the least practised shots you’ve ever done. When you’re in driving range, most likely you’ll go for the big stick (a.k.a driver), and hit it shot after shot. Because it gives you greatest distance, and greatest satisfaction. However it is also among the hardest shot in golf. It requires synchronised move between your leg, hip, body and arms. No wonder it produces the most inconsistent shot – short, top, pull, slice, you name it. Yet you only use it at maximum of 14 times in a round (14%). Hence, why do you practice those difficult shots which account for 14% of your score, while forgetting to hone your skills on your 40% score contributor, which is putting? The good news is, putting is the most simple shots in golf. This is the only shot in golf where there is almost no prescribed way to hit your best shot. As long as you’re comfortable with your posture and your grip, you’re good to go. However putting requires two variables to make your ball sink into the hole: direction and distance. Well, determining direction – understanding the slope of the green, thus pinpoint which direction to putt — is a difficult skill. But luckily, in most of times, you get a caddy who help you for this task. So as beginner, let’s forget this variable. Then you only have the other variable: speed. Here you should build your sense of speed. Practice in practice green for various putting distance. Measure them in paces. I would recommend 5, 10, 20, and 30 paces. And then build a muscle memory on how far you drag your putter back to hit putts on those distances. For example, when hitting a 10 paces putt (with no elevation), I drag my putter back to the center of my right foot. A 20 paces will be far more right. If your putt has elevation to deal with then you adjust how much you drag your putter. You will still likely to miss most of the putts, but you wont miss it too far, thus eliminating percentage of your 3-putts. You’ll cut your strokes in no time.